Clearly Natural is owned by Beaumont Products which started in 1991. 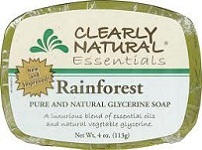 They specialize in all-natural glycerine soap bars. 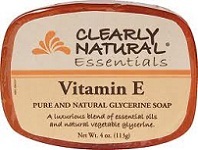 See 559+ Clearly Natural Reviews and save an extra 10% on Clearly Natural with Coupon Code* YAG250 at iherb.com/Clearly-Natural?rcode=YAG250. 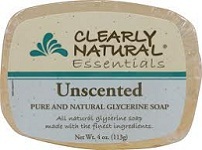 Unscented Glycerin Soap Ingredients: Glycerin, saponified coconut, palm and/or palm kernel oils, vegetable (coconut/corn/sugar) -derived surfactants, humectants, sodium citrate. No artificial colors, No sodium lauryl sulfate (SLS), No sodium laureth sulfate (SLES), Hypo-allergenic, Cruelty-free, Biodegradable.